Association of Towns for Environmental Protection (Sharon-Carmel) P.O.B 3041, Hadera, Israel. The East Mediterranean (EM) coast is characterized by warm sea temperatures and a nearly linear coastline. Both parameters influence the sea breeze front and the atmospheric conditions most relevant to air pollution dispersion. Here, the high resolution boundary-layer diurnal variation is highlighted leading to a distinct pattern of spatial-temporal air pollution dispersion, for over 25 years, from Israel's largest coal-fired power plant. Over 4,000 air pollution events were segregated by semi-objective synoptic systems and 7 years of boundary layer profiles carried out by acoustic radar. 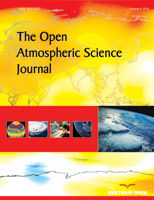 Results clarify why the highest air pollution events occur during summer at 12:00- 15:00 h through the average coincident drop of the boundary layer height down to 450 m above the ground. Here, the interaction between the synoptics and the sea-breezes is shown to play a significant role in the specific air pollution pattern.